Below are the answers to the winning questions from the bag question giveaway. I hope you find some useful info here! What is the best interfacing formula for a bag? Do you prefer to use a stiffer interfacing such as Decor Bond, or do you prefer to use multiple layers of a lighter weight interfacing? This is a great question! I do unofficially have a stabilizer "formula". I am a huge fan of Pellon products. My favorite one for bags is Peltex 71. This is a one sided fusible stabilizer with a lot of body. It is easily added as the structure to form the outside of a bag. 1. It is purchased by the yard and is 20" wide. 2. It is fusible on one side. 3. It is easy to sew through, even when fabric is added to it. 4. The seam allowance is easy to trim. 5. It lends great body to a bag without too much heaviness. 6. It creases well when you need to crease it (think bottoms of bags and sharp edges along sides). 7. It does not soften over time the way buckram can. OK...now that the love fest for Peltex is done, I can move on. The other stabilizer I simply could not get along without (for ANY kind of sewing) is Pellon lightweight fusible interfacing, 911FF. This is also a one sided fusible interfacing. 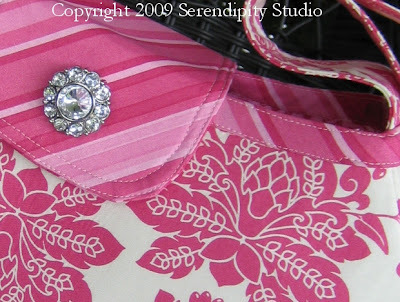 I add it to the lining of my bags as well as pockets and handles. You can double the thickness without any fuss and it is always easy to sew through. I have literally gone through many bolts of this stuff! 2. It is easy to work with. 3. It readily adheres itself to the wrong side of fabrics and stays put. 4. 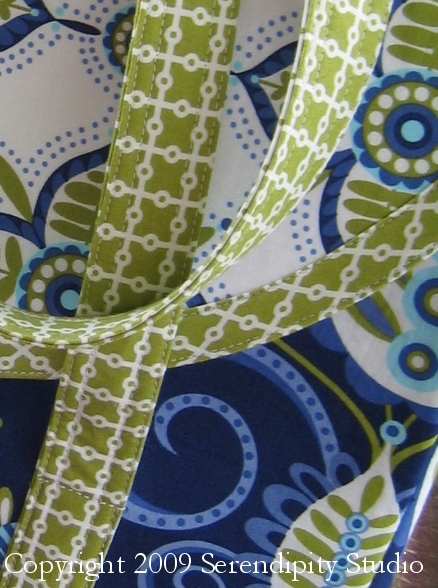 It lends itself well to the lining of a bag because it adds a bit of body but not too much. I would definitely miss it if I skipped adding it to the lining. 5. Adds strength and stability to bag lining, pockets, handles, etc. 6. Great for reinforcing spots where you are adding a magnetic snap or any sort of clasp. My personal formula is to use Peltex 71 and Pellon 911FF together throughout the bag making process. These are referred to many times throughout my pattern instructions and they are NOT something you want to skip. Other than good fabric choices, it is my opinion that stabilizers can literally make or break a bag design. Having said all that, what if you don't want a stiff bag? I have a few designs that for whatever reason I have decided that it is best for them to have a softer feel. Instead of using Peltex 71, I use Pellon Thermolam Plus. 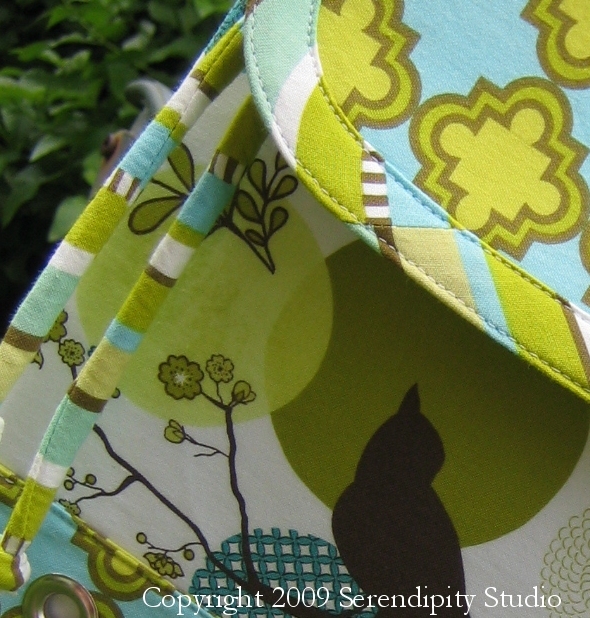 This is a one sided fusible fleece and works great if you don't mind a soft sided bag. There are times that for construction reasons, it might not be feasible to use a stiff stabilizer like Peltex. This is where the fleece does a nice job. I think it lends body better than just substituting regular interfacing. Now, I would not recommend that you substitute fleece for Peltex in any given pattern, as a designer usually has a certain look in mind. Altering the supplies during construction will certainly alter your outcome! Proceed with caution if you veer off the path!! Some of you might be wondering why I don't use double sided Peltex. I think it is simply too bulky once that other adhesive layer is added. I have not personally worked with it, but I have looked at it and decided it simply wasn't for me. I know myself pretty well and I can just imagine it would take me about 5 whole minutes to get one side of that stuff stuck to my ironing board pad...not fun! When creating a bag with more body, what is the best way to decrease bulk in the seams? In my opinion, the best way to reduce bulk in the seams is to trim the stabilizer down by the size of the seam allowance. This means that you will only have fabric in your seams and this should reduce the bulk by a lot. This is not something that I personally do as my machine stitches through all layers pretty well most of the time. It is a useful idea, though, and if you experience broken needles and visible stitches in your seams, then you might want to try this idea. 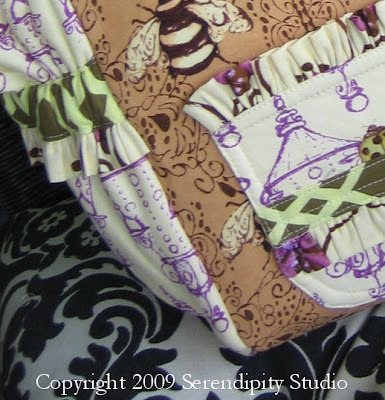 Another thing I like to do is to sew my exterior seams twice before turning a bag. I think the reinforcement of two stitching lines on top of one another makes the bag sturdier during use. This is a question that is asked often. Many of us lead busy lives and have lots of things to carry with us. I like for the interior of my bag to be organized. Nothing is worse for me than endlessly digging to try and find something! 99% of my bag patterns include instructions for adding interior pockets, and many have exterior pockets as well. The best thing to do if you want to customize an interior for your personal needs is to look at what you would a like a pocket for. Something like a cell phone, keys, or sunglasses usually only needs a simple patch-type pocket that can be added to one side of the lining before its side seams are sewn and added to the main bag unit. You can measure your items and determine the best pocket size from there. I like to have my pockets sturdy for what I add to them, so I make mine twice as tall as they need to be and add fusible interfacing to the wrong side of the fabric. Then I fold the pocket in half height-wise right sides together and sew it, leaving myself an opening for turning. The double fabric and interfacing makes the pocket able to hold your stuff and withstand repeated use. As for adding a dividers, well, dividers are tricky business. I have devised one in my newest book, Media Frenzy for the iPad bag. It took some engineering to get it just right, but it works great. Unfortunately there is no real cut and dry way to explain this as there are a lot of variables here based on the bag design you are working with. Zipper compartments are fairly easy to add. You can add a recessed zipper to a bag as shown here. Again, keep in mind that it does depend on the bag design you are working with. Here is yet another tutorial for this. 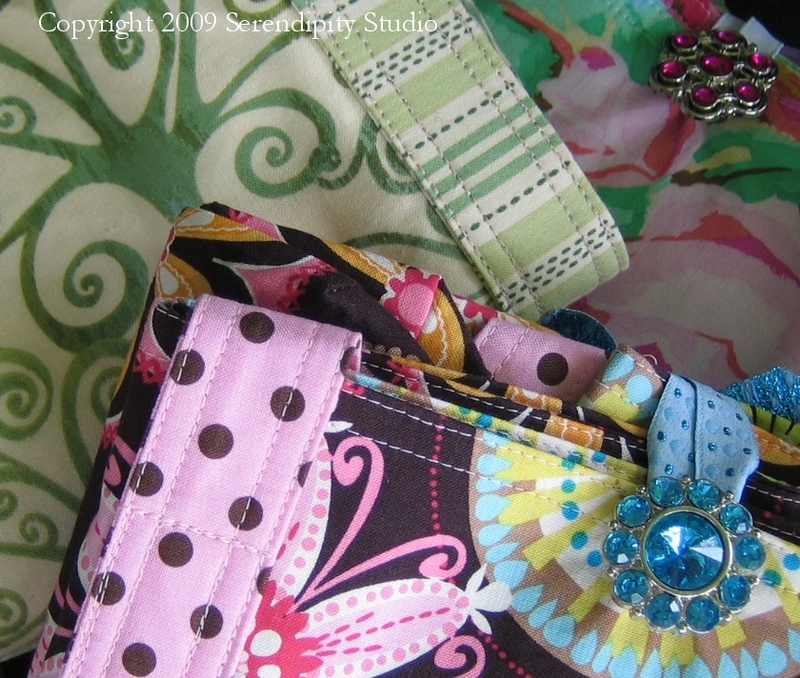 If you want a zippered pocket, here is a great tutorial. Since these are so well photographed, I will let them speak for me, as this is exactly the way I would recommend adding these details. I have patterns that detail these techniques in the same manner. 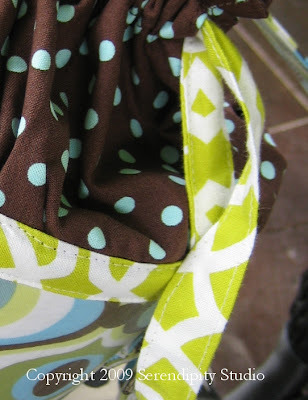 I would think to make a bag work as a diaper bag, you would just need to decide what types of pockets work best for what you want to carry and add those to the lining before it is sewn together and added to the bag. Take note above of the information I shared about doubling the fabric and interfacing for a nice sturdy pocket. Laptop bags are a bit more of a challenge. It is important to protect that precious cargo. I recommend adding a layer of fusible fleece and high loft batting to your lining. You might even want to consider making the lining from a soft fabric like flannel to cradle the laptop even more. 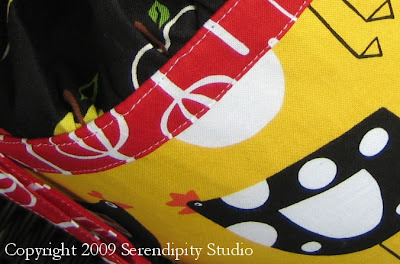 Just a side note here...I will have a diaper bag and a laptop bag in my new book Sew Serendipity Bags, out in September, so keep your eyes peeled!! It will also have zippered pockets in some of the designs...looks like I might have read some minds here!! Let me know if you have any questions about my responses here. I hope that you find the information helpful. It has been TOO LONG since I have last posted here. I have been a terrible blogger and I apologize! What a whirlwind December was with book writing and the holidays. I finished the second book manuscript and it feels so great to have that whisked away to my editor! The book is scheduled for release in late September, and I will keep you posted on that as it progresses. As I have mentioned before, it will be about bags and I am so excited about sharing it with all of you! I think you will love the designs. It is designed to be a companion to the first book, so all of you who are familiar with Sew Serendipity, the new book will follow the same type of format. To be honest, I decided that after writing two books basically back to back in addition to my continued releases of new designs for markets, I seriously needed a break from designing and writing, so I took the month of January to recharge my batteries. It was a great decision! I feel so much like my old self again without the pressure of writing or deadlines that books bring to your life! I have spent days getting back in touch with my knitting, crocheting, and I even picked up some counted cross stitch that I haven't done in years. It has given me a lot of time to think about new designs for the spring. I have even started baking bread! I bought a book called Artisan Bread in 5 Minutes a Day a while back. It is a no-knead process of making bread and it is really easy. The bread is wonderful and it is nice to have fresh bread for dinner without much effort. If you like to bake, you should check out this book! It is available here on Amazon. The authors also have a nice blog here with great tips for making bread. Don't worry, I haven't forgotten that I still owe you some information about bag making...I do plan on getting the first post up on that here in a few days, so hang in there! The thought of more writing about bags after finishing the manuscript was unbearable and I knew I would do a better job with that here if I was able to get some distance on it. I will write these in a question/answer format and add them to the sidebar for easy reference. 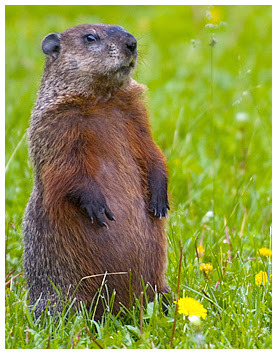 So, like the groundhog, I have come out of my cave and I am happy to say that I, too, did NOT see my shadow....looks like spring will be just around the corner, thank goodness! Most of us are covered under snow and ice....the warmth of the spring sun is going to be wonderful for all of us! Take note of some changes to the Blog Favorites sidebar....I have done some updating with new ones to follow and read. There are so many talented people in the world! I hope some of these inspire you to seek out and feed your own creativity.